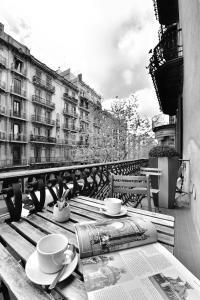 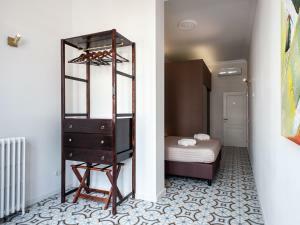 Set 15 minutes’ walk from Plaza Catalunya and just 100 metres from Diagonal Metro Station, Mihlton Barcelona offers stylish, air-conditioned rooms with free Wi-Fi. 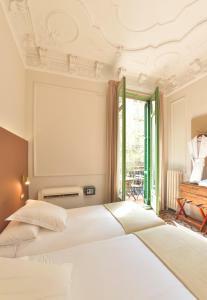 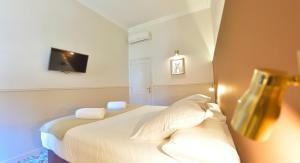 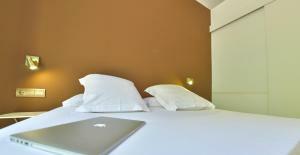 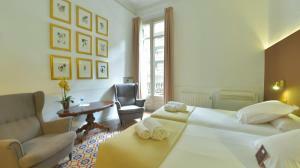 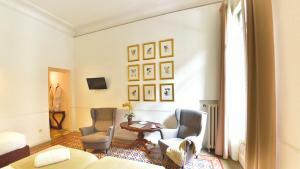 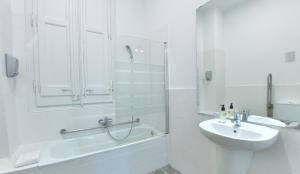 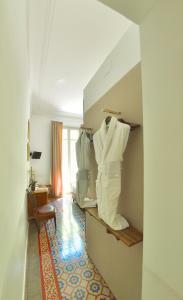 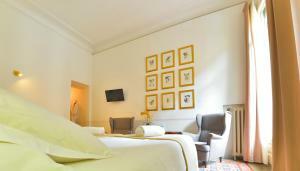 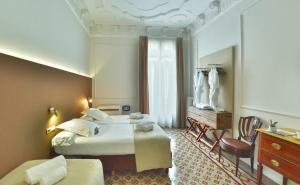 The modern rooms are individually decorated and have a private bathroom with free toiletries and a hairdryer. 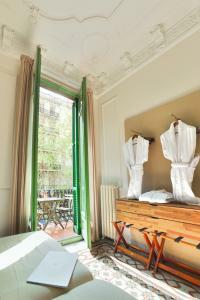 Breakfast, made with local produce, is served at Mihlton Barcelona’s bright dining room. 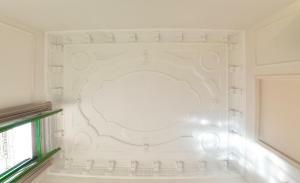 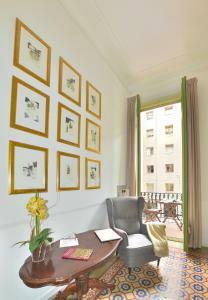 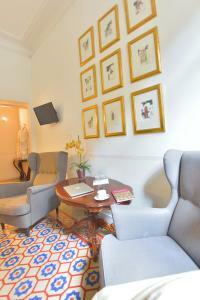 There is also a large sunny terrace and a gallery at the guest house. 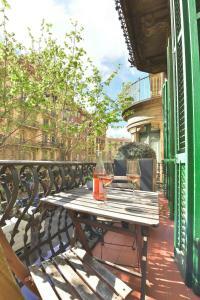 A wide range of dining options and bars can be found in the immediate area. 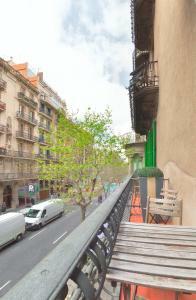 Gaudí’s La Pedrera House is a 5-minute walk from Mihlton, on Passeig de Gracia. 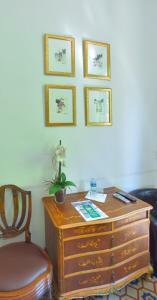 Tourist information can be provided at the property. 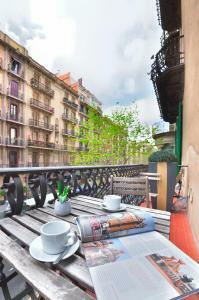 Barcelona Sants Train Station is easily reached by metro and trains to Barcelona Airport leave from there. 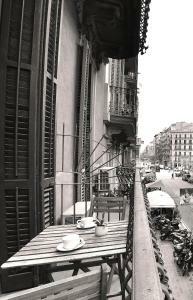 Please note this property does not accept cash. 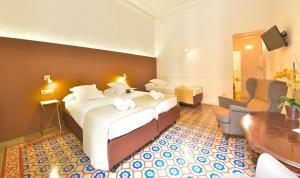 These individually decorated rooms have air conditioning and free Wi-Fi. 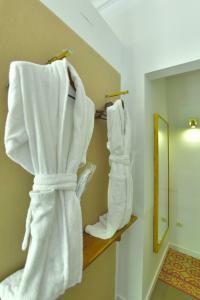 There is a private bathroom with free toiletries and a hairdryer, located outside the room. 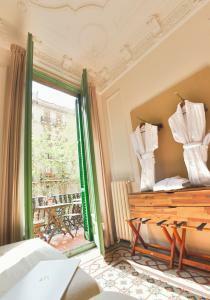 This room have a balcony on the street side and a flat-screen TV. 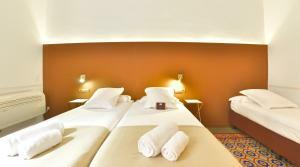 Rate: € 59.62 ... € 551.81; select dates below to get current rates. 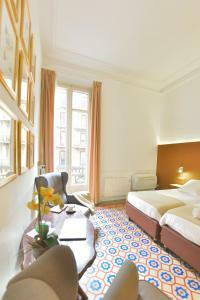 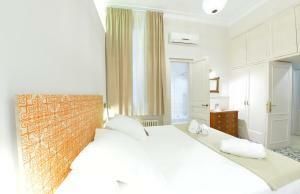 This double room features a soundproofing, view and tile/marble floor. 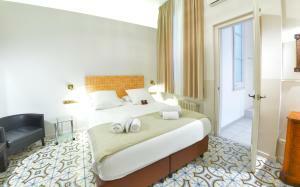 Rate: € 115.57 ... € 395.30; select dates below to get current rates.